If your body screams sleep but your mind doesn’t obey, a hot cup of chamomile tea may be what you need. It’s been quite a while since I quit coffee for chamomile tea as I seek ways to calm down my mind prior to bedtime. You may find it ironic that chamomile tea has nothing to do with the tea family. Instead, it is a medicinal herb that contains no caffeine and tastes pleasant in your mouth. If there’s anything that vouches for its effectiveness, it’s the fact that it has been used for medicinal purposes by ancient Romans. You may wonder why chamomile tea is so effective in calming down your mind and help you sleep easily. The answer is a very scientific one. Chamomile tea contains flavonoid, that possesses a tranquilizing effect on the brain. A clinical study has highlighted the sleep-inducing quality of chamomile tea where 10 cardiac patients fall into 90 minutes of deep sleep after being given chamomile tea. This is why chamomile tea is a favorite bed-time tea for those who struggle with sleep disorders. The fact that it is caffeine-free also means your heart is not pumping crazily as you struggle during bedtime. While this may not be scientific, the process of making chamomile tea or tea ritual can also slow down your thoughts. It’s not all about sleep when chamomile tea is concerned. For thousands of years, chamomile tea has been used to improve various aspects of health. Here are more reasons for you to make chamomile tea your favorite bedtime tea. Reduce stress and anxiety – Chamomile tea is a great natural remedy for stress and anxiety. It helps your brain to increase the production of serotonin and melatonin, both important in calming down your mind. Improve skin health- Rich in anti-oxidant and anti-inflammatory properties, chamomile tea can be applied topically to the skin. Besides softening your skin, it also helps in skin issues like eczema. While chamomile is safe for most people, it can cause allergic reactions like throat swelling or breathing difficulty to people who are allergic to the daisy species. Although this doesn’t occur frequently, you should avoid chamomile if you’re allergic to these natural plants. Chamomile is also known to contain a blood thinning compound called coumarin. Although the presence of coumarin in a cup of chamomile tea is insignificant, it may cause complications when taken with anticoagulant drugs. While there are no conclusive studies on the effects of chamomile on pregnant ladies or breastfeeding mum, you should always consult your doctors before taking chamomile tea in such a scenario. There are various species of chamomile around the world. The two species that contains the most medicinal properties are Roman chamomile (Chamaemelum nobile) and German chamomile (Matricaria chamomilla). The German chamomile is what you’ll commonly have in your chamomile tea pack. Here are what you need to consider when choosing the right chamomile tea brand. Pure chamomile tea – You’ll get the most benefits from pure chamomile tea. Not one mixed with additives. You’ll also want to ensure it is not blended with other herbs that you are not fond of. Organic – The best chamomile is those that are grown organically. You wouldn’t want to risk any residues of pesticide entering your body. Tea Leafs or Tea bag – Some people prefer tea leaves over tea bag, as they believe it carries a fresher aroma. On the other hand, preparing Chamomile tea with tea bag is much more convenient. Price – While the price of chamomile tea can differ between brands, you do not want to get those that appear too cheap. You may end up getting low-quality chamomile flowers. Instead, the price must be justifiable with the reputation and current satisfaction of the customers. There are probably hundreds of chamomile tea brands locally or when you search online. But it’s hard to pick high-quality brands that are fresh and effective for sleep. The best way to check out the claims made by the brands are through feedbacks left by customers. This is why Amazon has always been my favorite place to shop for chamomile tea. You can read all the favorable and critical reviews left by hundreds of users before you decide on a certain brand. You’ll also have lesser worries on returns or exchange if the condition of the chamomile tea you received is not as promised. Choosing the right chamomile tea for your bedtime drink can be quite a challenge. There are possibly hundreds or thousands of chamomile tea brands around in various shapes and sizes. I’ve handpicked the best brands to make your choice easier. Founded in 1875, the Garden of the Andes is now a fourth-generation family owned business specializing in premium organic teas. It has a strong commitment towards sustainable organic agriculture practice for its tea farming. This results in vivid flavors that is evident in their brand of organic teas. 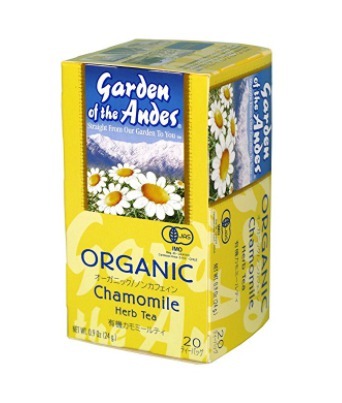 This pack of chamomile tea by Garden of the Andes is grown at the very foot of the Andes itself. Not only it is grown with sustainable agriculture practice, the chamomile flowers are manually harvested by hand in pure traditional practice. You’ll find the tea soothing for your restless mind and calms anxiety naturally. The nutrient-rich soil of the Andes ensures the chamomile tea produces an exquisite aroma as you take a sip. Your physical health, particularly your digestion and immune system will also be boosted by the chamomile properties. This single pack of chamomile tea comes with 20 tea bags. You’ll have more than 2 weeks of better relaxation and sleep by drinking chamomile tea. You can also purchase multiple packs from Garden of the Andes to enjoy better savings. Traditional Medicinals business principle is deeply rooted in sustainability and environmental activism. It is one of the leader wellness tea company in the US. The company was founded by a respectable herbalist, Rosemary Gladstar, and environmentalist Drake Sadler in 1974 as they pursue their interest in herbal medicines. 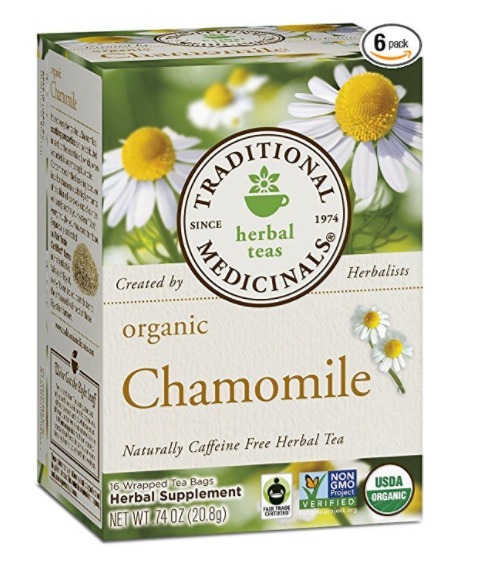 This pack of chamomile tea by Traditional Medicinals is organic and non-GMO certified. You can be assured that none of the chamomiles are tainted with chemicals or pesticides. These pharmacopoeial grade herbs are of the highest quality and will do well in helping you to get better sleep. As you sip a cup of chamomile tea made from these tea packs, you’ll taste a pleasantly roasted and sweet aroma with a slightly bitter aftertaste that’s usually found in pure chamomile leaves. It’s great for calming your anxiety and dealing with gas and bloating. A pack of chamomile tea by Traditional Medicinals contain 16 individual tea bags that are sealed. This ensures that the beneficial properties are preserved when you brew the chamomile tea. You can expect nothing but the best quality as no stems or leaves made its way to the tea bags. Tea bags are individually sealed. Shipping may be delayed in some cases. 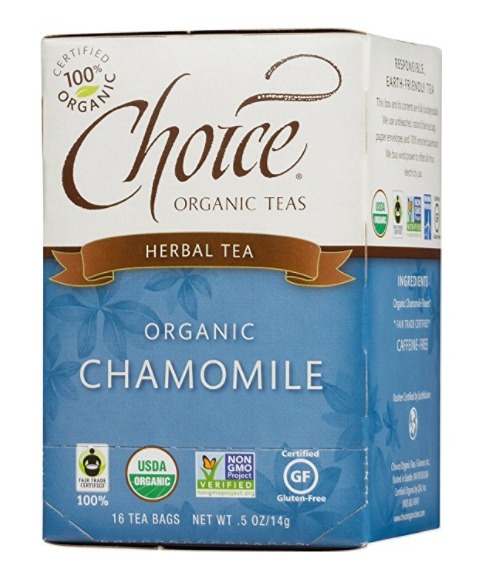 Choice Organic Teas is a brand owned by Granum Inc, a Seattle based organic tea company that has been around since 1980. It started as a humble business selling Japanese tea and went on to pioneer the organic tea industry in the US. The company is committed to energy conservation and keeping the earth healthy. There are 16 tea bags in this pack of USDA organic certified chamomile tea. The extent of the company’s commitment to the environment is evident by the 100% biodegradable and recycled packaging box. What’s more important is the chamomile tea that’s gluten-free and Non-GMO Project Verified. Contained in unbleached tea bags made of natural fiber, you’ll enjoy chamomile tea in its purest form. Having just a cup of chamomile tea will soothe your nervous system greatly and reduce anxious thoughts. As you take a sip of the freshly brewed tea, you’ll taste the wonderful earthy aroma of chamomile that relaxes you enough for a great night of deep sleep. This is only possible with chamomile leaves that are pure and not added with artificial ingredients. Packed in natural fiber, unbleached tea bags. Non-GMO and organic chamomile leaves. Some packaging boxes are damaged when delivered. The quest of a group of 5 scientists to uncover the best compounds for human resulted in the founding of U.S. Wellness. The company focuses on promoting natural sources of well being by sourcing the products from the best organic farms around the world. If you prefer raw chamomile flowers over tea bags, this pack of German chamomile is the right choice for you. Frequent visits to the farm are conducted to ensure sustainable agriculture practices are obeyed. Not only it is free from pesticides and herbicides, it is packed in the certified facilities of Department of Agriculture of Ohio. 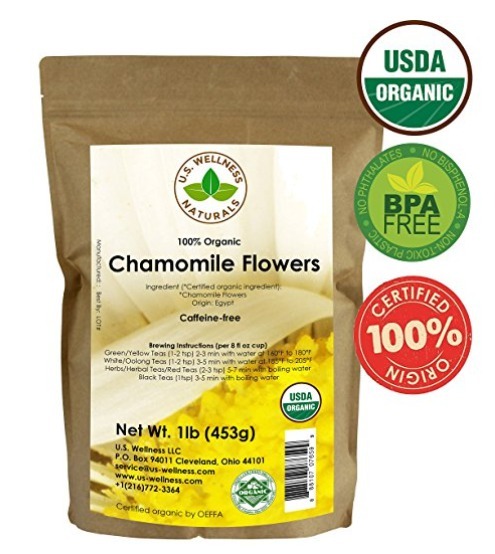 The chamomile flowers are packed in a BPA-free multilayer Kraft surface bag that is resealable. You don’t have to worry the flowers going bad for the next two years when sealed properly. This pack has more than enough chamomile flowers to last you for a long period. You can easily recharge and renew your vigor after a stressful day by brewing yourself a cup of chamomile tea. It’s best to steep the flowers in boiled hot water for 5 minutes for maximum health benefits. The slight fruity taste on your mouth indicates that the chamomile flowers are fresh and pure. Some may find it slightly bitter. Headquartered in Tigard, Oregon, Stash Tea has a humble beginning where it started selling herbal teas in 1972 in Portland. It now carries a broad range specialty tea products and is one of the largest companies in the US in its industry. It has now expanded to a few other countries, including Canada. 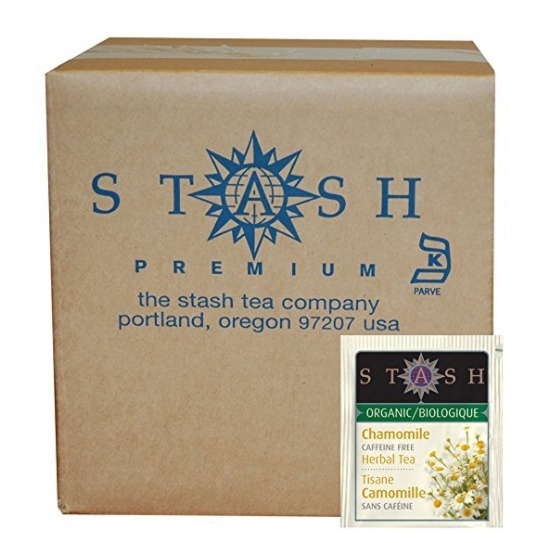 This pack of premium chamomile tea by Stash Tea is blended in the USA with chamomile flowers sourced around the world. It is both Kosher and organic certified. This allows you to enjoy chamomile tea in its purest state. As you brew and drink the chamomile tea, you’ll notice a delicate, a classic apple-like flavor that only 100% pure chamomile can provide. The tea bags are individually wrapped with foil to ensure the chamomile remain fresh until you start brewing it. A cup of high-quality organic chamomile tea like this will be a great start to your morning. It helps to calm your mind as you take on the various tasks on the day. You can also take camomile tea to wind off after a long day at work. Helps in invigorating the mind. Some may find the flavor bland. The Tea Company believes in selling loose tea leaves. Not only they free from chemicals, the fresh tea leaves retain 95% of antioxidant that is lost when they are turned into tea bags. It practices fair trade business by sourcing the teas from small family owned farms and estates while ensuring the best quality. 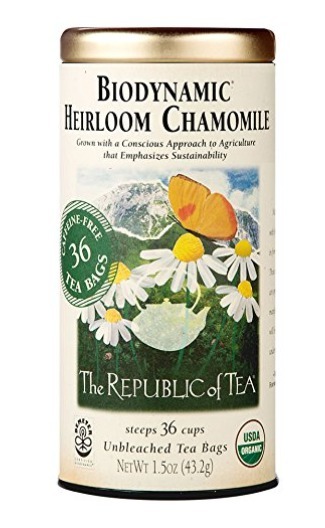 This pack of organically certified and GMO-free chamomile tea contains loose chamomile flowers that are more than enough to make you 60 cups of tea. They will be perfect if you wanted to relax and de-stress before your bedtime. Sourced directly from the farms, the chamomile flowers are packed in a resealable bag that made it easy to store while maintaining its freshness. You’ll find yourself sipping an umnatchced taste of chamomile for months to come when you store it properly. You’ll enjoy great health benefits from drinking chamomile tea. Its antibacterial property can be helpful in cases of colds and infections. It’s a proven fact that chamomile increases the strength of your immune system when taken regularly. Pure and fresh loose chamomile flowers. Packed in a resealable bag. Great for colds and infections. Some may not like the taste. 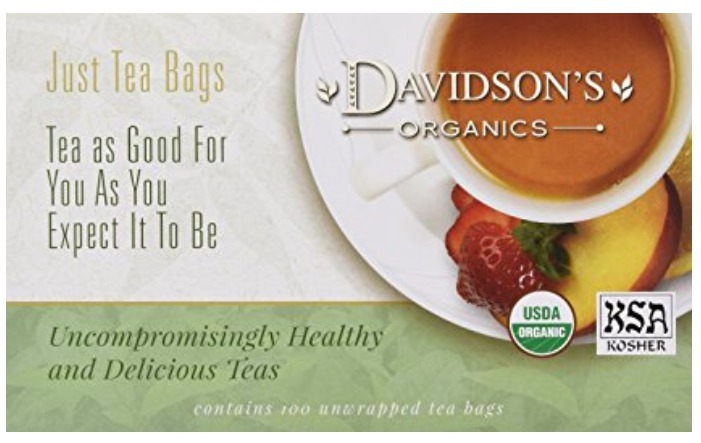 Davidson’s Organics is founded by third generation tea growers who practice sustainable organic agriculture. It sourced the best tea from small producers from around the world. Since its founding, it has grown and has partnered with one of the top organic tea producers in India to expand its offering. This pack of chamomile tea contains 100 unwrapped tea bags that you can easily brew in a cup. There are no staples on the tea bag and that makes it more environmental friendlier. The chamomile tea is certified to be 100% organic by USDA. The teabags are packed in a ziplock bag to that lets you seal it up to preserve the freshness. As chamomile tea is caffeine tea, you can drink it before bedtime to ease your stress and relax. After all, it’s one of the most preferred bedtime tea for people with sleep issues. This is an economical pack for those who prefer nothing fancy on their tea bags. 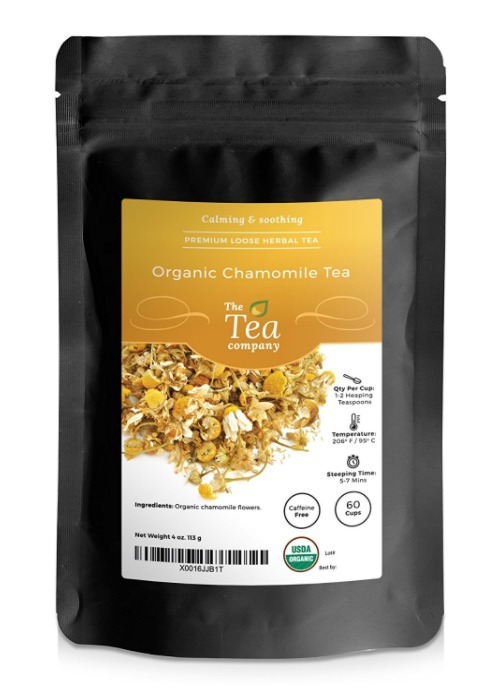 You can have up to 3 months of relaxing sleep with this bulk pack of chamomile tea. Pleasant taste of chamomile flowers. Some may find the taste average. Packaging: 8 oz loose chamomile flowers/pack. Wild Foods has a lofty mission when it comes to supporting healthy food consumerism. It places a high priority on sourcing ingredients from small producers who practice sustainable farming. The company is also active in supporting social causes like Pencils of Promise and World Concern. 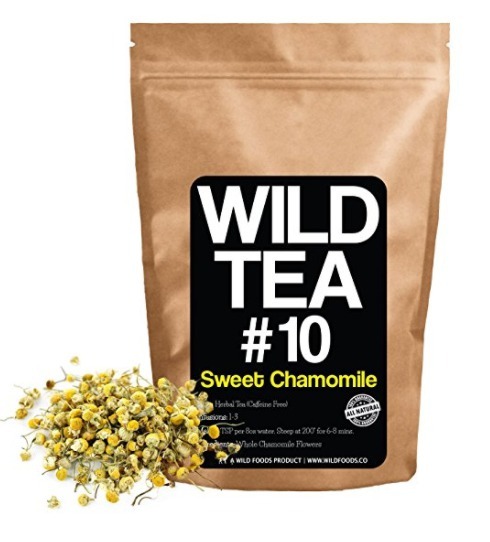 Do not be surprised with the slightly sweet taste of chamomile from Wild Foods. There are no sweeteners involved. This pack of Roman chamomile originates from the plains of Egypt. It is grown organically and certified by the state of Nevada. The chamomile flowers came in a resealable pack. This helps you to keep it fresh for a long period. You’ll find chamomile’s anti-inflammatory properties helpful if you’re hoping to get rid of headaches. Just steep a teaspoon of the flowers into 8 oz of hot water for 5 minutes and it’s ready. You can expect delicious tasting and extremely fresh chamomile flower in this pack from Wild Foods. Besides, it wouldn’t hurt for a modern looking design of the resealable pack. Natural sweet taste of chamomile. Resealable pack for easy storage. Great for getting rid of headaches. Shipping may be delayed in certain cases. The Republic of Tea was founded in 1992 with a mission to have the best tea leaves in the world enriching the cups of ordinary people. It ships teas in specially designed light-resistant and airtight tins. The company also place a great importance on social responsibility as it actively supports the causes of organizations like Action Against Hunger and Whole Planet Foundation. The chamomile flowers are harvested from self-sustaining biodynamic farms that emphasize on ecological farming. This pack of chamomile tea is grown on a certified biodynamic farm at the foot of the Italian Alps. You’ll find that the natural properties of the chamomile are well-preserved as they are dried using natural thermal energy at the farm. You can enjoy the tea either iced or warm as you prepare to relax for your bedtime. Just pour 6 oz of hot water over a tea bag and let it steep for 5 minutes. The aromatic fragrant of the tea indicates that you’re receiving a pack of chamomile tea that is both fresh and natural. Some packs contain tiny little bugs. Lifestyle Awareness is a brand of Tadin Herbs & Tea Co. that has been producing herbal teas for decades. It uses medicinal herbs sourced through fair trade practice to encourage well-being and vitality. The company is committed to a lifestyle of awareness by constantly improving on their products and practices. 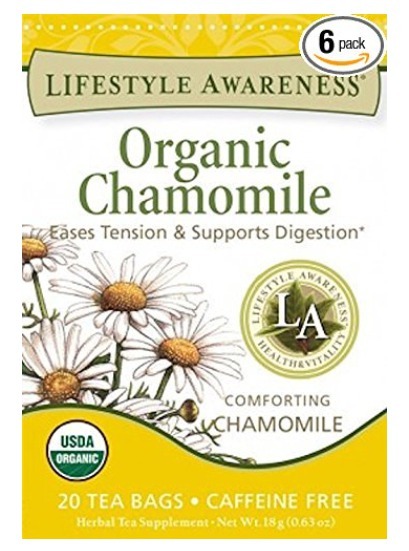 This pack of chamomile tea from Lifestyle Awareness is USDA organic certified and made from purest chamomile flowers. It has a pleasant aroma that made it great to kickstart your day. You can also use it for better skin health by applying topically on your skin. If you’re a great supporter of a greener earth, you’ll be glad to know that the packaging uses the environmentally friendly material. The careful practice of packaging ensures that the quality of the chamomile is well-preserved. Some customers received an incorrect number of packs. Place the tea bag in the bottom of your cup. Pour boiled hot water over the tea bag. Allow it to steep for 5 minutes to get the rich flavor of Chamomile. (optional) Add a few drops of honey or a slice of lemon for taste. Drink up when it’s hot and you’ll find your mind calming down gradually and sleep beckons soon. Have you tried chamomile tea to relax before your bedtime? Do you get better sleep after drinking chamomile? Share your thoughts in the comment below. Great post! 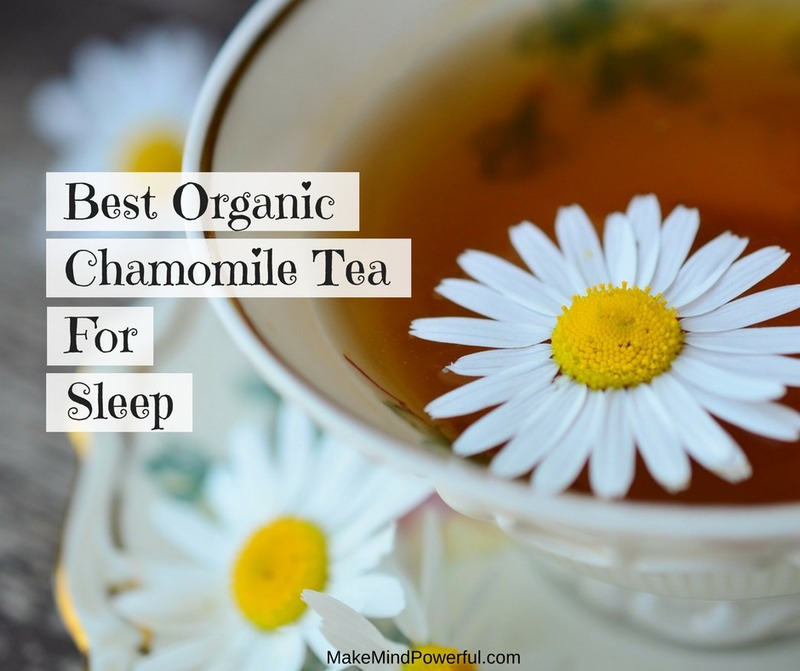 I’ve always been a fan of Chamomile for its various health benefits but didn’t realise that it improves sleep quality as well. I’ll definitely try having an evening cup from now on. If possible to consume too much or is it the more the better? It’s safe to take between 1-4 cups of chamomile per day. I usually have two per day. We currently have chamomile tea in the cupboard along with many other flavors, but I wasn’t aware of its properties and that it was good for calming the mind. When you started taking chamomile, how long did it take before you noticed any changes? 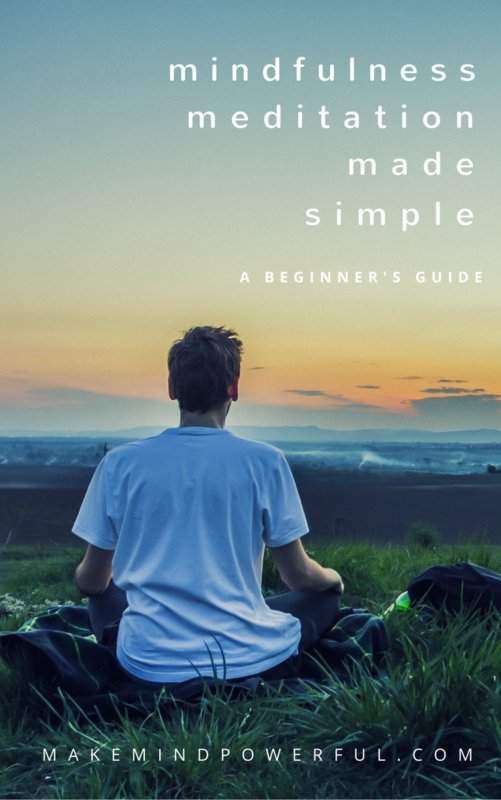 Thanks for explaining the benefits of chamomile tea, and read this post with interest, and will certainly give it a try myself. For me, it takes about 30 minutes after a cup of chamomile before I started feeling relaxed. Sleep definite comes faster after drinking chamomile. Thank you for such an informative post. Looking at all the benefits of the chamomile tea, I think it would best suit the patients with IBS. My dad suffers from IBS and also has difficulty sleeping. This would be a great remedy if it works for him. I’ll surely tell you about the results. Thank you. Hi! Great article! I knew the chamomile flower can induce calming effect and sooth discomfort in GI tract, but I didn’t know that it can improve skin health until I read your article. It’s interesting to know. I like these products that you listed, because I always select organic products whenever I can. Of the 10 brands you recommended, which one do you think is the best? My mom is always stressful (due to work), and I would definitely recommend chamomile to her. All of the brands are pretty good. But if I would pick one, it would be Garden of the Andes. Kenny, this was a very insightful and thorough evaluation of the usage along with the benefits that chamomile provides. I’m usually not a coffee or tea drinker; up till now I have been taking sleep-aid supplements (Melatonin, etc…). To eliminate taking more pills on top of prescriptions I have been looking more towards an holistic alternative and chamomile tea is one avenue I’m pursuing. With my ignorance you gave me a great base to start looking for the right tea to suit my needs, thank you. Thanks for checking out my article and I’m glad it helps you. I used to be a caffeine addict but has since turned to healthier choices like chamomile.